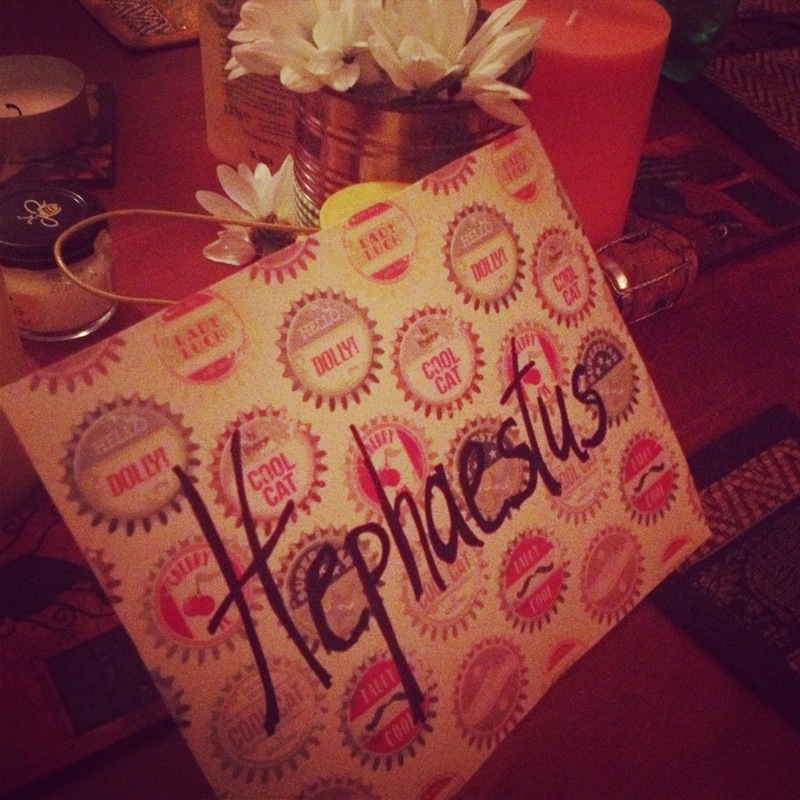 Last night the Greek gods of Olympus gathered around our table to savour good food and good company. 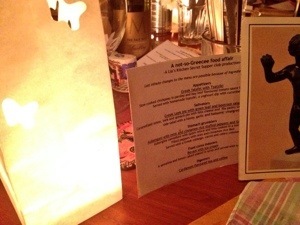 A-not-so-Greecee-food affair presented dishes that many people in Britain have a different cultural reference for like revithokeftedes (the Greek falafel), politiki salad (the Greek coleslaw ) and Aubergoni (Cycladic cannelloni-like aubergine parcels). On arrival people were greeted with a glass of Nectar-a strawberry cucumber and lemon juice cocktail sweetened with honey. And we closed the supper with an almond meal and semolina cake doused in brandy syrup and served with ice cream. 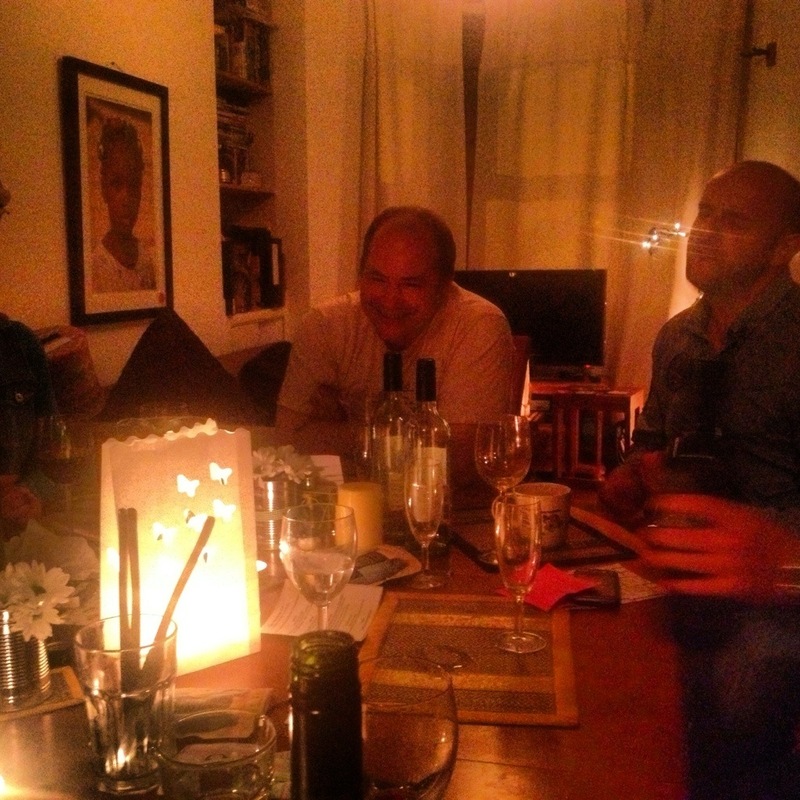 Everyone was an Olympian god last night-persona randomly allocated on arrival. 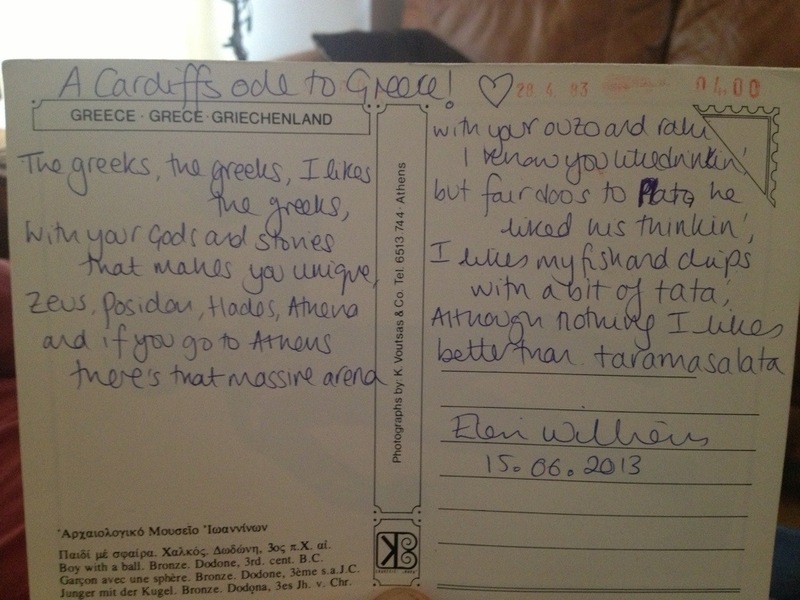 And there was poetry (Cardiff’s ode to Greece), singing which included the very apt political song ‘Εν δυο κάτω’, learning your name in Greek and some interesting Greek facts relating to Nana Mouschouri’s vocal cords and private parts. I am still laughing! 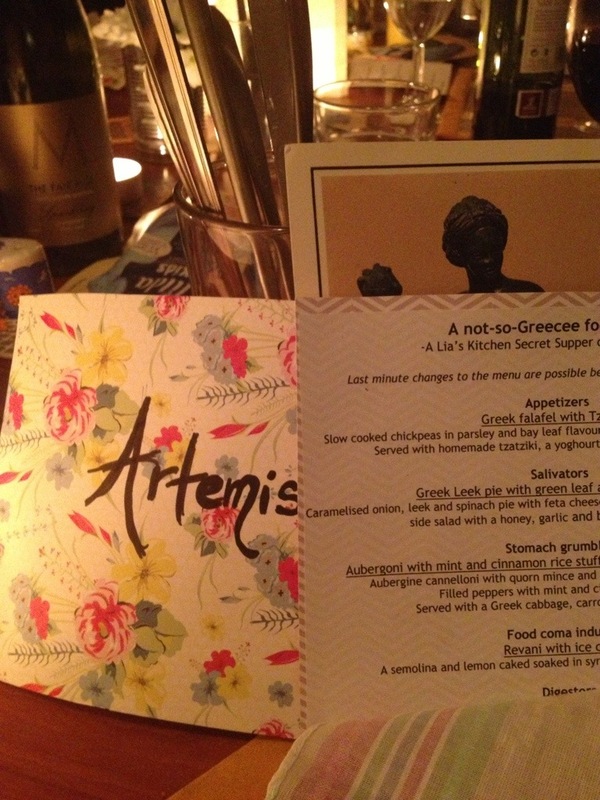 Thank you all for such a wonderful night and honouring Lia’s Kitchen with your presence. 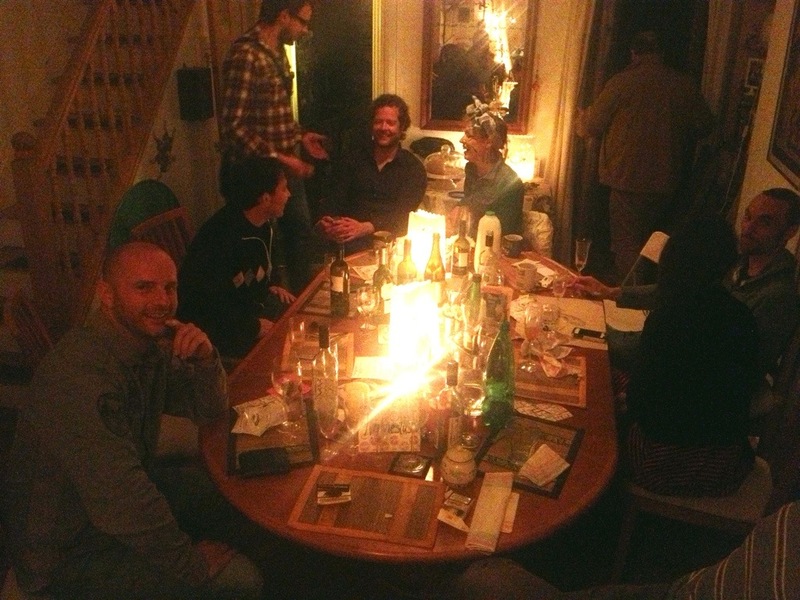 I can’t wait for the next supper club. If they are all like this one we are in for a year of a wonderful evenings. I hope the gods smile on you today . 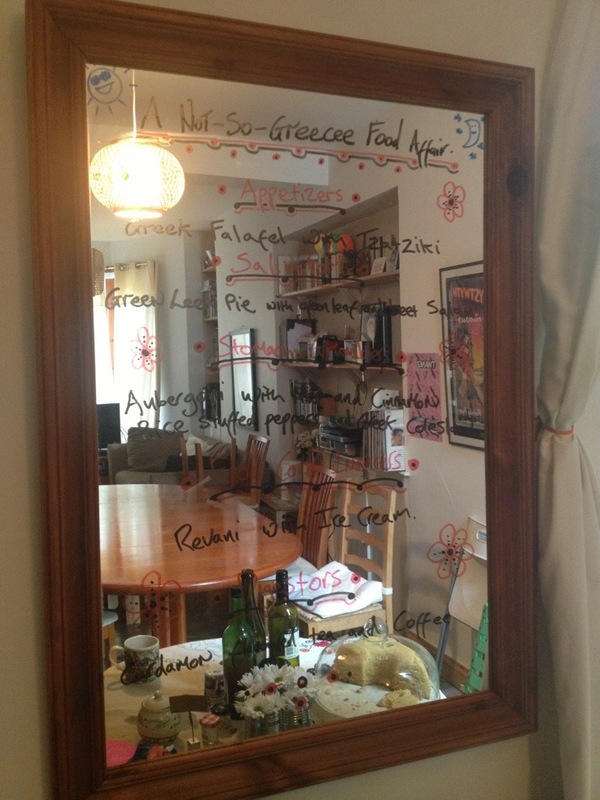 This entry was posted in Events, Greek cuisine and tagged Greek menu, greekgods, liaskitchen, Olympus, pop-up event, su, Supperclub. Almond meal muffins for Dummies (like me)!